A Berks County fixture for over 80 years; Malsnee was founded in 1935 by Earl J. Malsnee, as Earl J. Malsnee Inc. Later, Earl’s son, Bruce, held the reins of the company until his retirement in 1983. At that time, the company was sold to Eshbach Brother’s Inc., a Berks County masonry company which got its start in 1913. From 1983 to 2005, Malsnee Tile Inc. was operated as a division of Eshbach Brothers under the direction of Gregory Eshbach. In 2004, through some family changes it was determined that Eshbach Brothers would no longer operate a tile division, so the assets were sold. 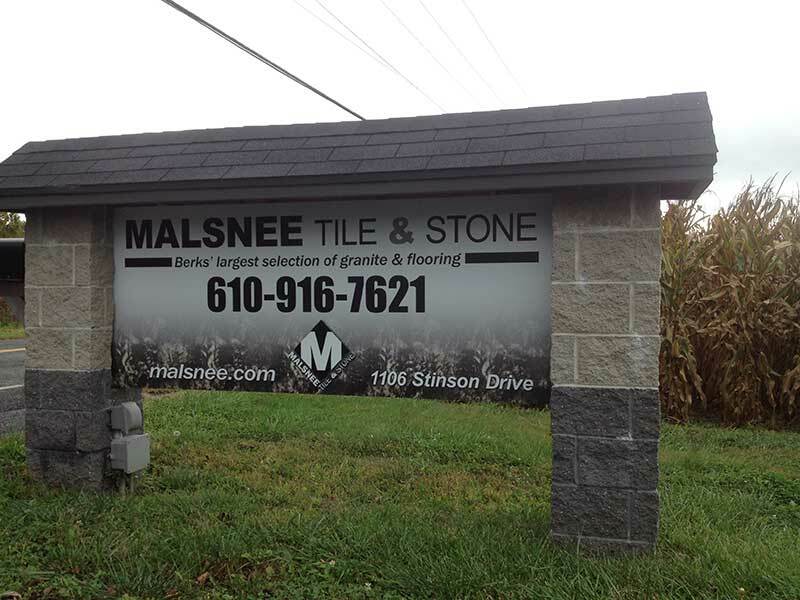 On January 1st of 2005 Malsnee Tile and Stone Inc. was opened. Originally on North Sixth Street in Reading, we have moved twice over the years: first to 1440 North Ninth Street and in 2005 to our current location, near the Reading Airport. Being from the area has given us a unique perspective to serve the needs of the local residents. We always strive to provide a quality product at an acceptable price. There are many ways you can go about making a product cheaper. Using lesser quality materials or dubious installation techniques are some of these ways. We have always avoided both of these paths. We feel that when we work with a client we are not just trying to sell them a job; we are trying to build a relationship. We will never sell you a product based upon misrepresentation. We believe we are never stagnant in our business. We are constantly trying to learn new, better methods and are among the leaders in our industry in technical knowledge. We have the largest selection of granite in the county bar none! As an added bonus, you can browse all of this inventory in climate controlled comfort, as it’s all inside. From your basic “bread and butter” colors to fancy exotics, you are sure to find what you are looking for from our ample-stocked selection. Should you not be able to find a slab you like, we can custom order one from one of our many importers. Whether sold from our stock or brought in specifically for you, you can rest assured knowing the slab you selected is the slab you will receive. During the selection process, your name will be marked on the stone of your choice and remain there until fabrication, or at least until you want to change it!